We're a Leicester based firm of roofers who take absolute pride in our work. From storm damage repairs through to fitting a state-of-the-art new roof in one of the 21st century's wonder roofing materials, we have the answers. Would you like a free-no obligation estimate? We'd be delighted to inspect your roof, establish what your roof requires, offer you an affordable price, and then send our roofing experts around as soon as you're ready to go. For genuine, reliable roofers throughout Loughborough, including East Leake, West Leake, Sutton Bonington, Shepshed, Belton, Barrow Upon Soar, Sileby and Wymeswold, simply contact us by picking up the phone and dialing us on 0116 316 9544. We want your experience to be one you talk about positively for years to come. That way our reputation grows along with our customer base - just as we want it to. 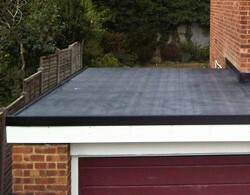 Furthermore, you roof gets the treatment it deserves so that it lasts a lifetime.